In these days I’m quite busy – too busy unfortunately with things that just has to be done, so I can move on with some of the things, that really matters to me. Like the blog here. Thousands of plans and ideas for articles, but no time to get it done. And usually at this point, I start daydreaming. My dream has usually something to do with travelling and experiencing new things and places – such as Saklikent Antalya. 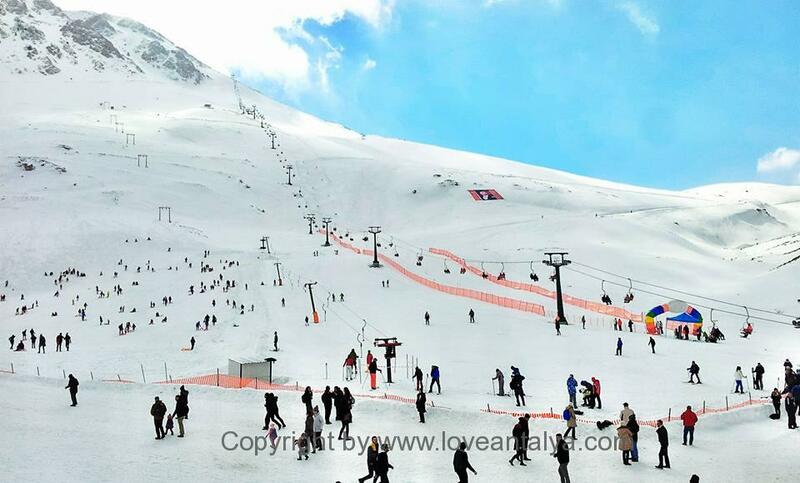 An incredible ski resort in the mountains, where there is snow until late in the spring, and where you can go skiing, sledging or just have a nice day in the snow. Yes who would have thought, that there is a real ski resort with snow, lifts etc. so close to Antalya? But there is – and it has been there for some years now. It has evolved over time, so it is now a fairly large place with several ski slopes and lifts, an after-ski place and with more and more visitors. Fortunately. For it’s quite charming, that there is a place this far south, where one can bring (or rent) your skis and combine your skiing holiday with a real city break (if you are in doubt about what to do in Antalya, then just click on the link). Frankly speaking, I do not know, if Saklikent is so incredible. I’ve honestly never been there. But judging from the pictures and the stories from my husband, our friends and acquaintances, it looks quite fine. I am in no way to be called a ski enthusiast, so everything must be taken with some caution. 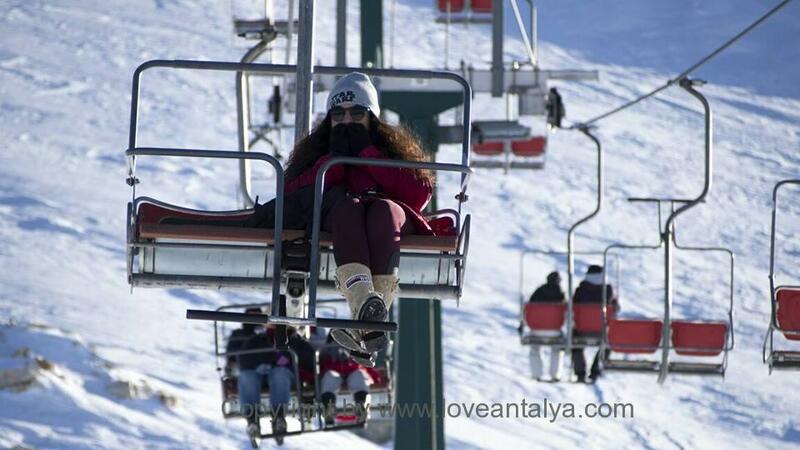 In fact I think, that I am quite impressed by the fact, that there are so massively heavy snow in southern Turkey that you, in principle, have the opportunity to hitch a pair of skis and get going. The possibility is there. That’s kinda cool. I had very hard to imagine, that there was such a place, not far from the big city, the ocean and the warm beaches, when my husband one day told me about it, while we sat in park, sweating in the sun. How can the contrasts be so big? In principle, you can ski in the morning in March / April and then go downhill to the town in the afternoon, walking around in your t-shirt and enjoy the sun and the warm weather. If you go in early May you might even add a swim in the Mediterranean to your activities. 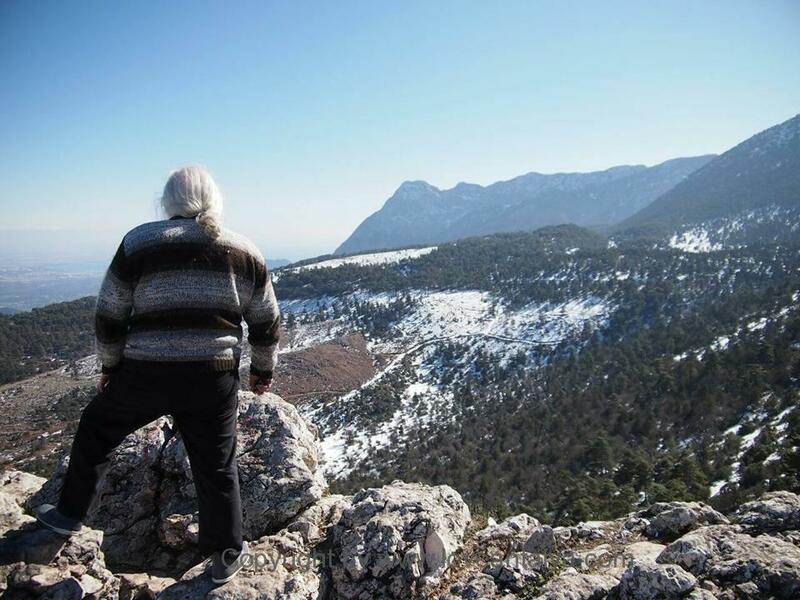 The snow is because of the big Taurus Mountains, that Antalya is surrounded by. 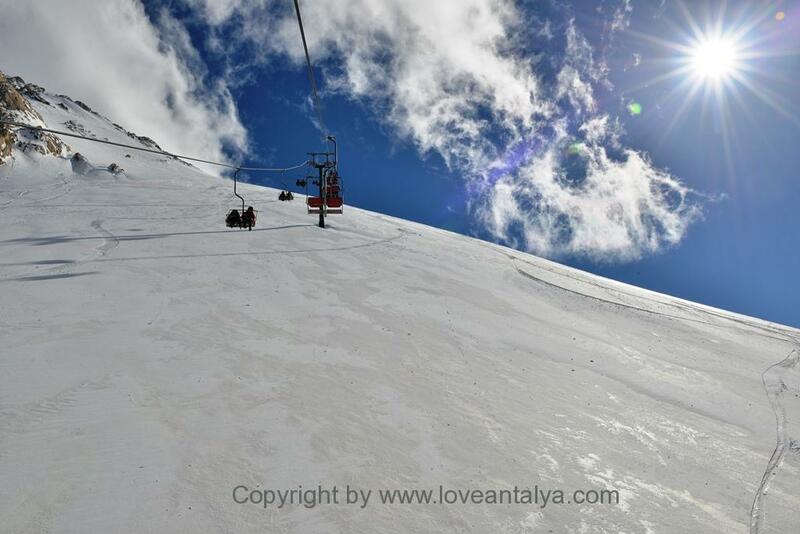 They reach an altitude of 3700 meters, so they naturally have a huge impact on the climate in Antalya. Saklikent ski resort is located about 40 km from Antalya and is located at an altitude of 1850-2450 meters above sea level. What a view there must be !! One can quite easily get up there, the roads are good (something that is not always a given in Turkey). I am pretty sure, that there are also bus tours up there from the large bus station, if you don’t have a car. 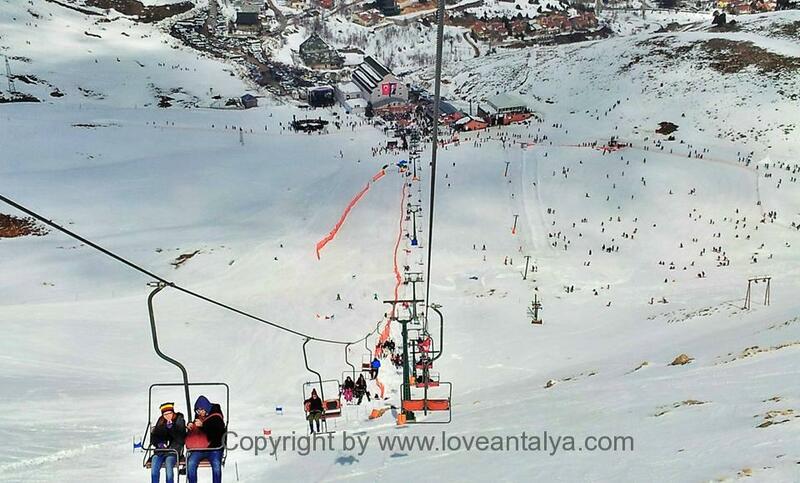 You can not say, that ski holiday in Antalya is popular or highly sought after. Perhaps it isn’t even to be found in the tourists’ consciousness. And it’s really a pitty. Compared to ski resorts in Sweden and Norway (I will not even mention the great big ones in France, Austria and Italy) it is obviously a more primitive one. 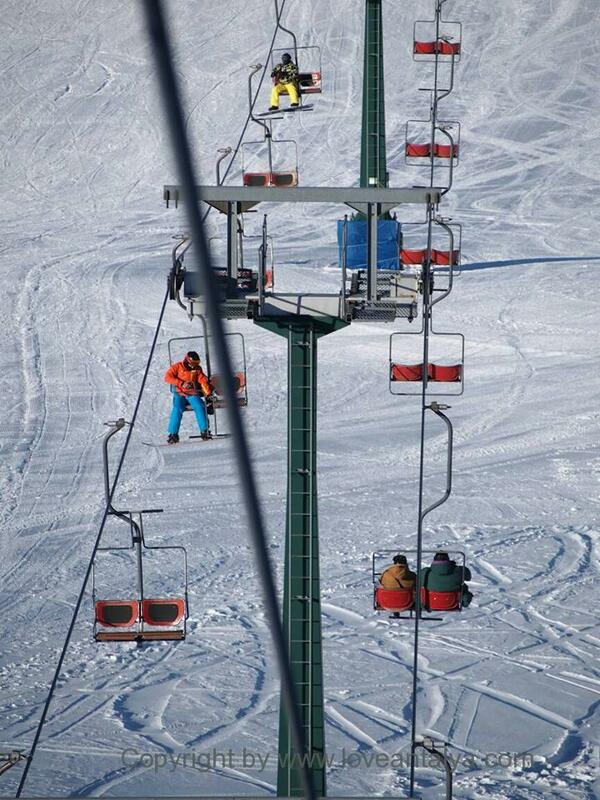 It’s just a tiny, little place with 3-4 lifts and 5 runs. 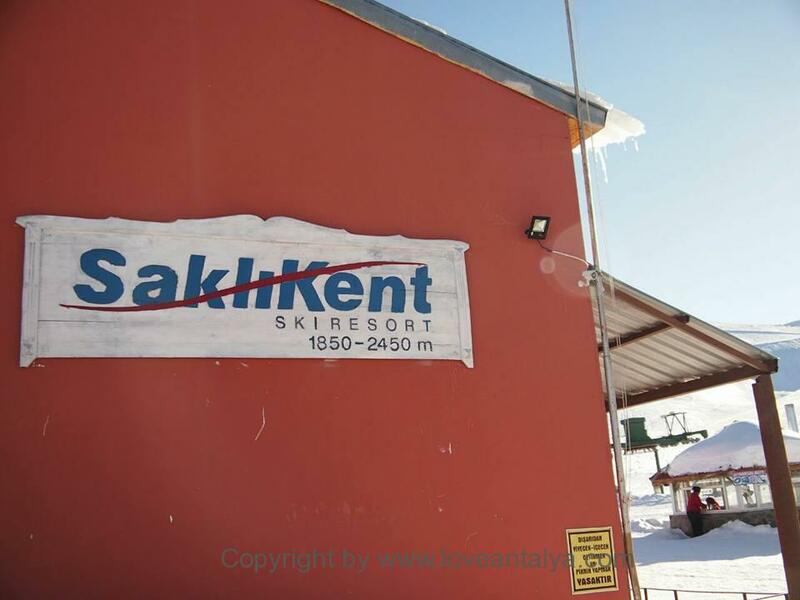 So if you are for a strickly “real” ski holiday, where you do not do anything else for weeks but skiing, Saklikent is probably not the most interesting place. But if you like the idea of skiing one day and enjoying life at the beach or go sightseeing in the city the next, this must just be the place to be. I can certainly only recommend it !! There are many locals (and from all over Turkey), who take a trip up to Saklikent. It is rather special, that there is such a place in Turkey (ok, there are 2-3 other places). It also means, that the prices are not near, what you can find at the many other major ski resorts in Scandinavia and Europe – the locals must also be able to participate too. 60 TL (approx 15 Euro) for a day permission !!!!! And then you can also rent boots, jackets, ski, snowboard, etc. on the spot. Roughly, a family of 4 could rent all the equipment, get day-access, food and transportation for aprox. 202 Euro – and then it’s high pitched! (You just need to be aware that children from 0-6 years of age, are not allowed in the lift). How fun it could be – even if you don’t ski at all. That may get me to consider it. Try it – just once or twice. You can also stay up there if, if you become gripped by the atmosphere or are really enthusiastic. There are only 10 rooms at the resort, but more on the way. It might be an advantage, if you have to explore the 5 slopes, the area and mountains. There are also many hiking routes in the beautiful mountains aswell. I’m really considering it now. Fortunately, there are open from November to May. If you are good at Turkish language, you can find more informations at Saklikent’s own website (but be warned – it is only in Turkish, incredibly enough!). Daydreaming continues … .. perhaps we should …? You don’t have to forget, that you are in Turkey. Which other ski resort have real döner-kebab on the menu? ?